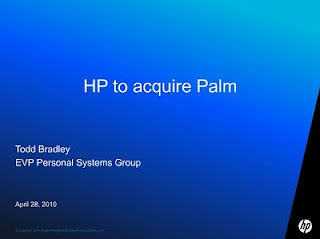 HP has posted the slides and a transcript from yesterday afternoon's bombshell announcement that the PC and printer maker intends to acquire Palm the troubled handset maker for $1.2 billion dollars later this year. 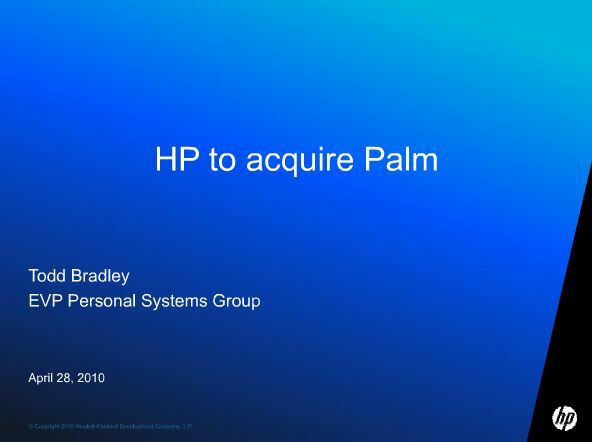 HP has stated that they plan to continue to develop and grow the webOS platform after Palm is integrated into the Personal Systems Group, lead by formed Palm CEO, Todd Bradley. You can view the slides and read the transcript on Slideshare.net.